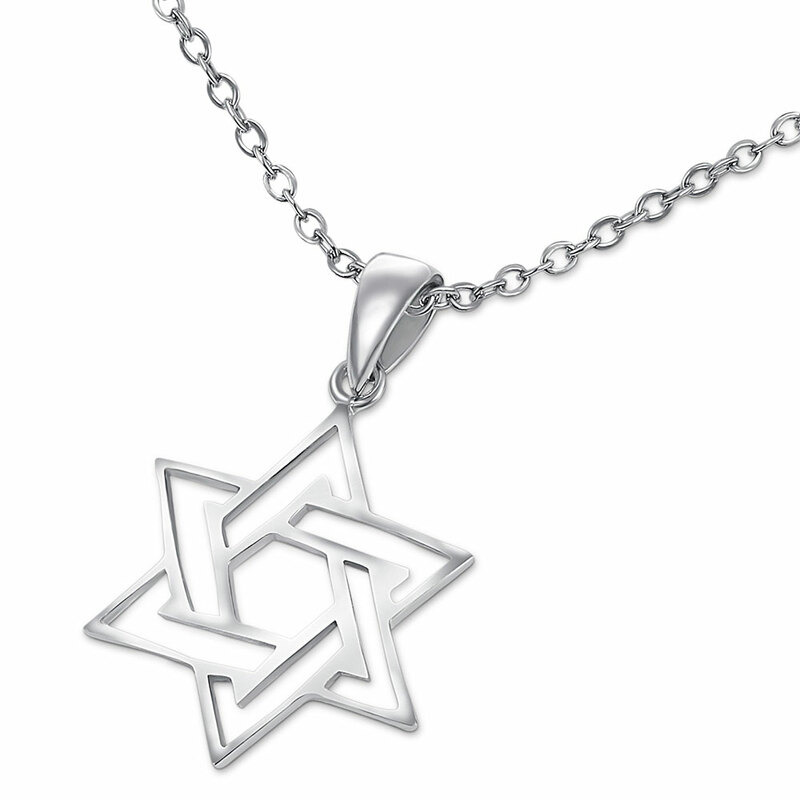 Sterling SilverStar-of-David Necklace - very classic braided unisex style. 3/4" x 7/8". Comes gift boxed with an 18" silver chain. To add another chain to this pendant, select from below.